Brattleboro, VT, 2019-Feb-12 — /EPR Network/ — Accur8 Software, an innovative software and services company focused on cloud data migration, integration and analytics today announced its latest turnkey cloud solution, Cloud Data Mart as a Service, or CDMaaS. This innovative service enables small to mid-sized companies to take advantage of the many benefits of cloud platforms, such as Amazon AWS or Microsoft Azure, as a first or next step toward their business leveraging the power of the cloud. A cloud data mart enables a company to quickly solve a number of important challenges such as improving customer service and support activities, enhancing employee management efforts, and gaining better vendor performance visibility. The Accur8 Cloud Data Mart as a Service is a turnkey solution that ties together valuable data from several applications inside a specific segment of a business such as HR, customer support or finance. A company’s existing reporting tool is connected to the data mart to provide a stream of new insights while maintaining a familiar user experience. In order to get started, a cloud data mart can begin with as few as 2 or 3 data feeds. Time-to-value is very fast, with projects taking as little as 1 month from start to deployment. Using the performance tested Accur8 Integration Engine™ and leveraging cloud services such open source databases and pay as you go computing power, a cloud data mart can be set up for a very low cost with little to no burden on scarce business resources. Once the cloud data mart is deployed, the business realizes immediate insight into a segment of its business and has the perfect foundation for future growth into a full , data warehouse for 360° business visibility if it desires. 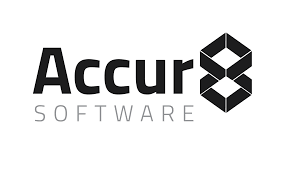 Accur8 Software changes the game for integrating and migrating data and applications to the cloud with our powerful data integration technology, solutions and services. This combination, along with our deep expertise, enables companies of all sizes to successfully take their business to new levels by leveraging the cloud, regardless of how complex their software application environment. Our Data Warehouse as a Service (DWaaS) and Data Migration as a Service (DMaaS) enable companies to move their data and applications to cloud platforms such as AWS or Azure. We have deep expertise across a wide range of industries and businesses.